Seeing only a straggle of visitors to his exhibit on the second floor of the Agricultural Building at the 1893 World’s Columbian Exposition, H.J. Heinz headed to the nearest print shop. 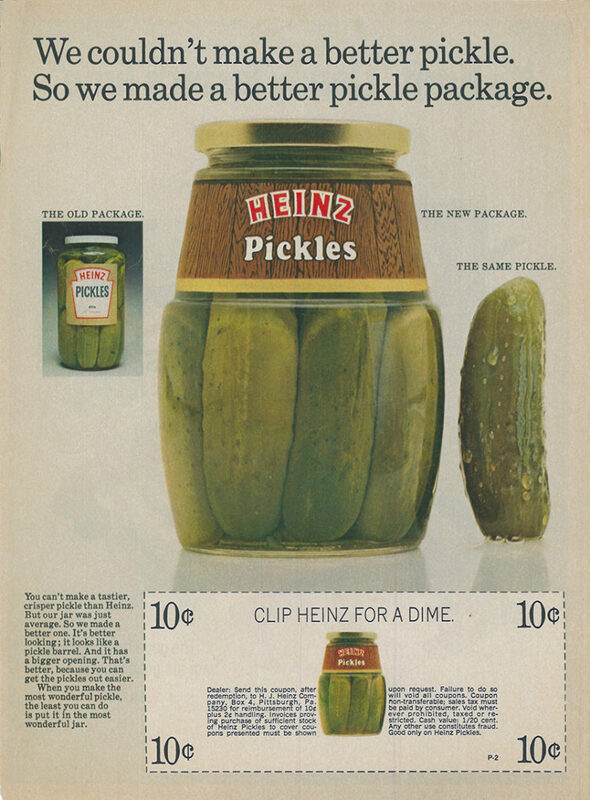 The Heinz exhibit was already handing out souvenir pickle charms to the few who came by, so he printed small “baggage checks” on brass-colored cardboard with the promise that presenting it at the Heinz exhibit earned the bearer a free souvenir. Heinz had workers hand them out and boys scatter them across the grounds. It didn’t take long for masses of people to start finding their way to the Agricultural Building to get their free souvenir. Police were called to control the crowds and support beams were added to the floor below. Heinz gave away a million pickle charms at the fair, and foreign food exhibitors, watching customers rush past to get to the second floor, filed a complaint. 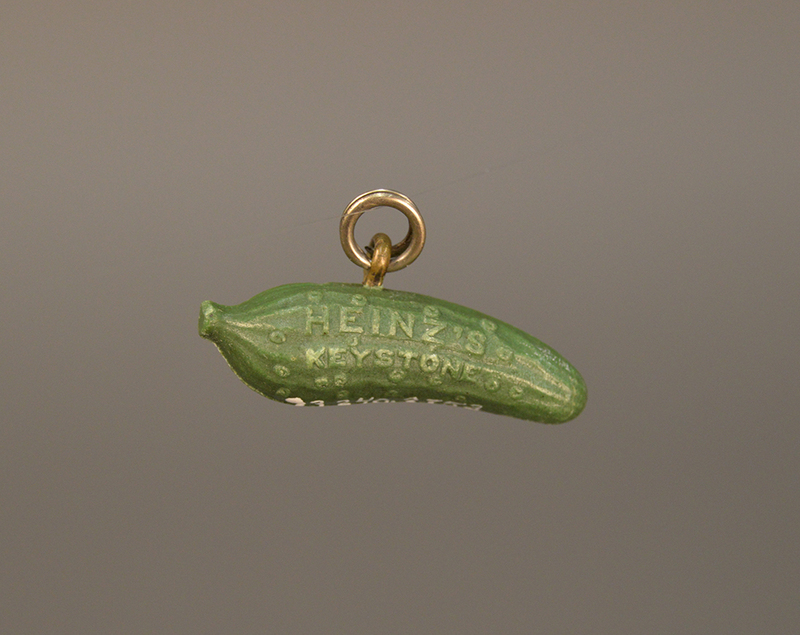 Heinz’s belief that the best way to advertise your products and promote your name was by letting the public do it for you was proven correct with the simple yet innovative souvenir pickle charm. 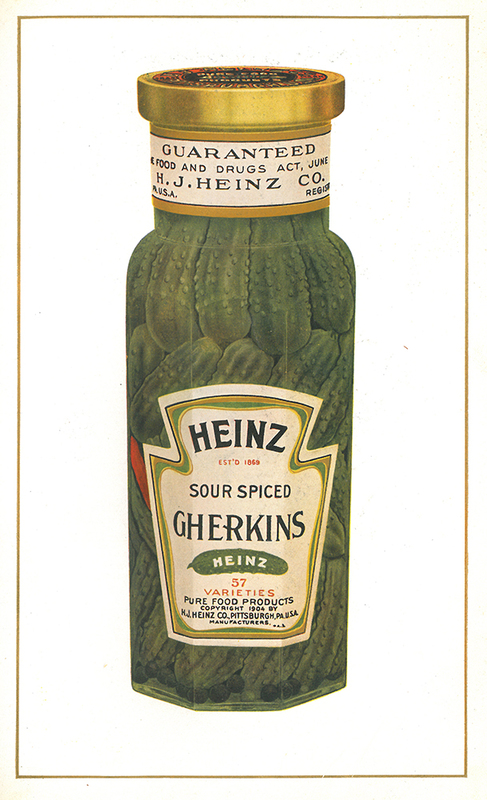 The original Heinz pickle charms could hang from a lady’s brooch or a man’s pocket watch and were made of gutta-percha, an early form of plastic. Heinz History Center collections. Photo by Liz Simpson. The H.J. 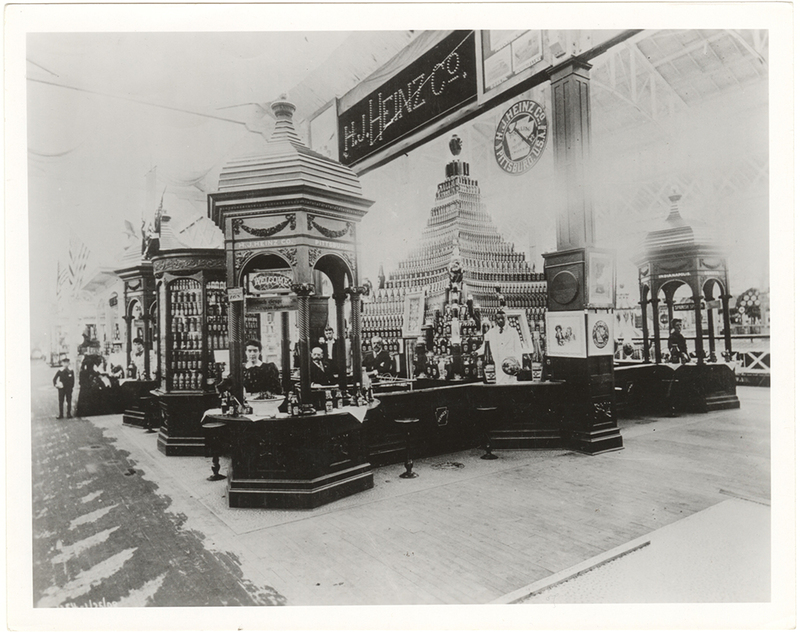 Heinz Company’s grand display at the World’s Columbian Exposition in 1893. H.J. Heinz Company Photographs, Detre Library & Archives at the History Center. 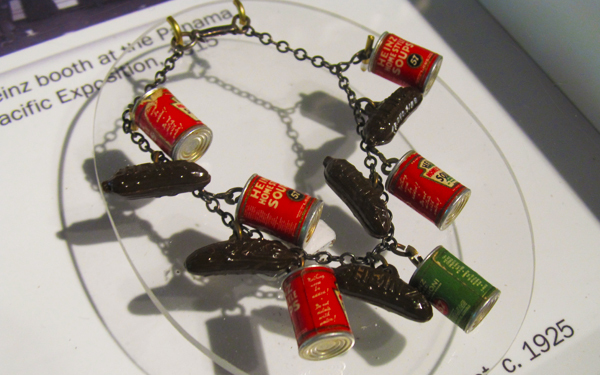 Heinz charm bracelet on display in the Heinz exhibit. One of the original tags the H.J. 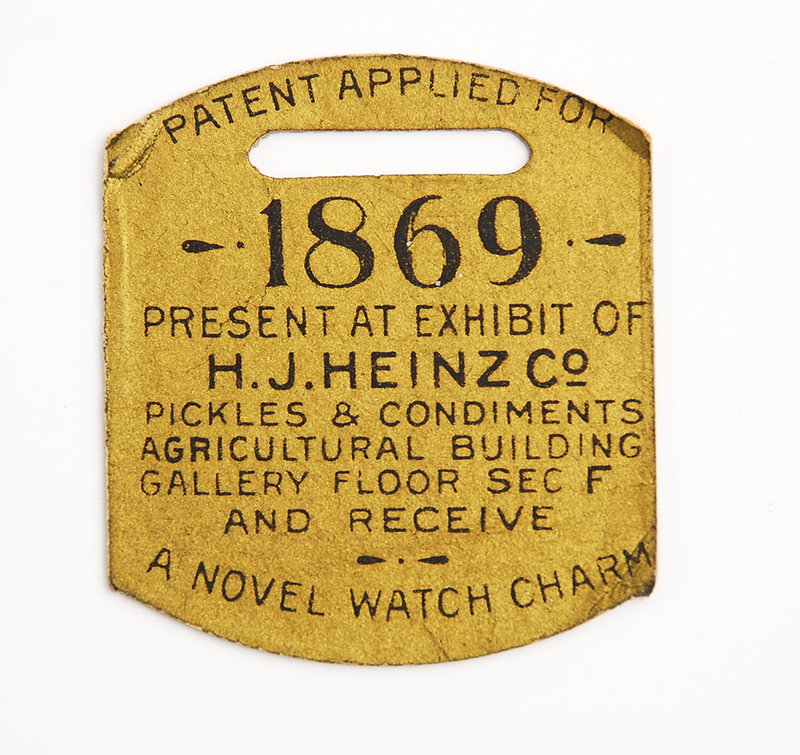 Heinz Co. distributed at the 1893 World’s Columbian Exposition that promised “a novel watch charm” to attendees who presented this card at their display on the second floor of the Agricultural Building. H.J. Heinz Company Photographs, Detre Library & Archives at the History Center. Jar of pickles from the Steamboat Arabia, 1856. 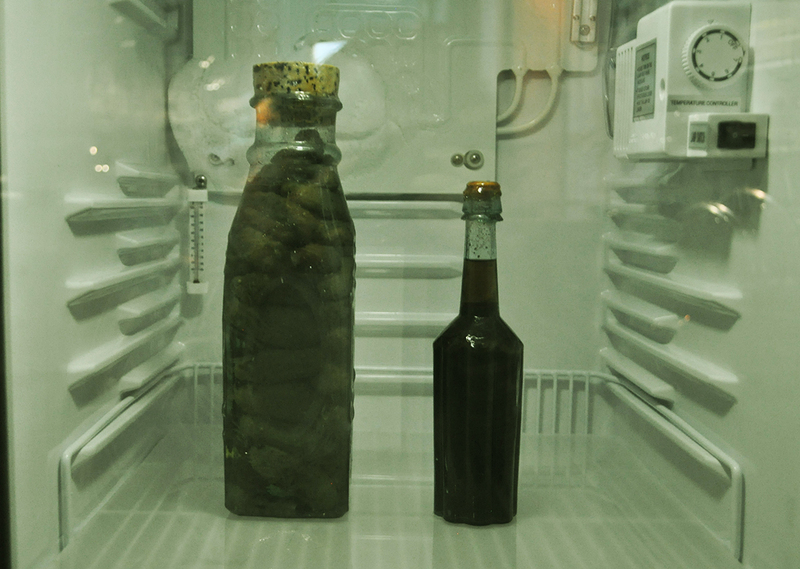 Visit the Special Collections gallery to see a jar of pickles from 1856, still intact after more than 160 years. This jar of pickles was discovered when the Steamboat Arabia was unearthed alongside the Missouri River in the late 1980s. Along with dry goods and building supplies, the Arabia’s cargo included a wide variety of canned and bottled food like these pickles, still preserved after more than 160 years. Pickle dish, made by Bryce, Walker & Co., Pittsburgh, pressed in the Pleat and Panel pattern, c. 1880. Gift of Shirley Teasley. The use of machine technology to press glass led to the manufacture of tableware with a huge variety in the number and kinds of pieces in individual patterns. 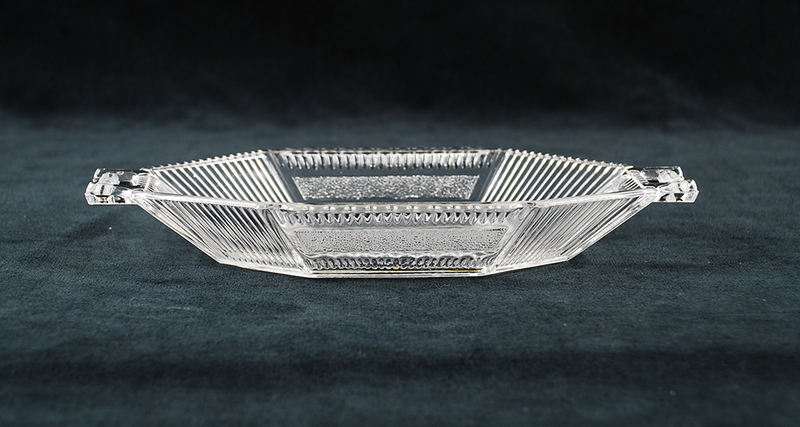 Pittsburgh glassmakers began to make bowls and dishes that had a specific purpose – they held pickles, like this dish, or butter, salt, or cheese, to name just a few. Imagine how attractive this dish would look filled with fresh, green pickles! Pittsburgh: Duquesne Light Company. Detre Library & Archives at the History Center. 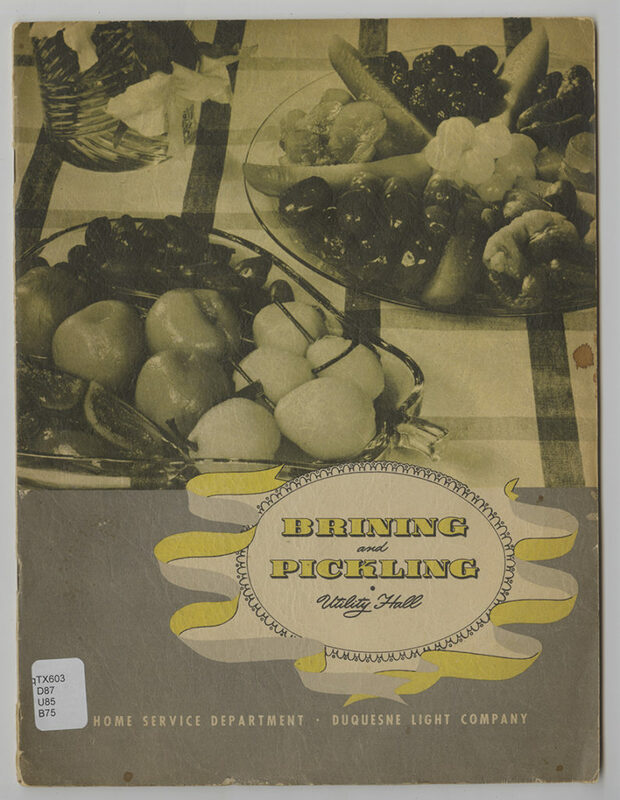 These pages and recipes are from “Brining and Pickling,” a Duquesne Light cookbook c. 1942. In addition to a dill pickle recipe, you can see one for pickling watermelon rinds. Courtesy of the H.J. Heinz Company Records, Detre Library & Archives at the History Center. 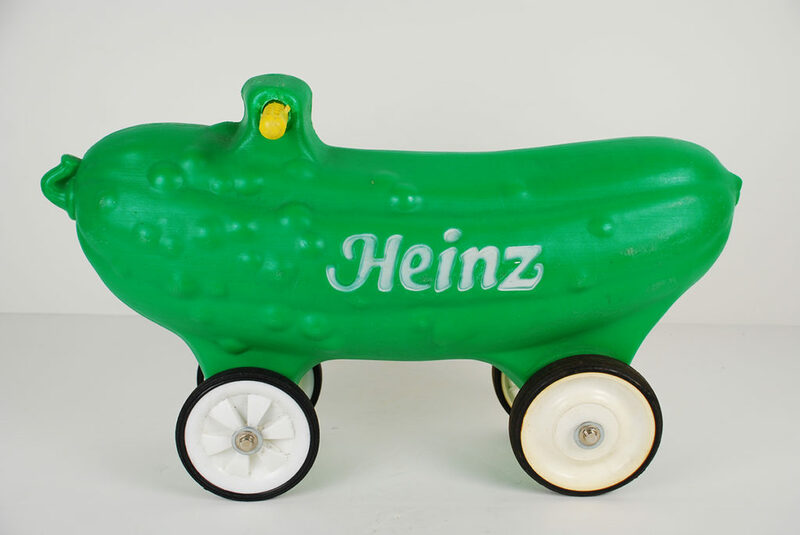 This pickle scooter featuring the Heinz Company pickle served as a giveaway or advertising piece to promote the Heinz brand. Heinz Pickle Scooter, c. 1950. Courtesy of the H.J. Heinz Company. 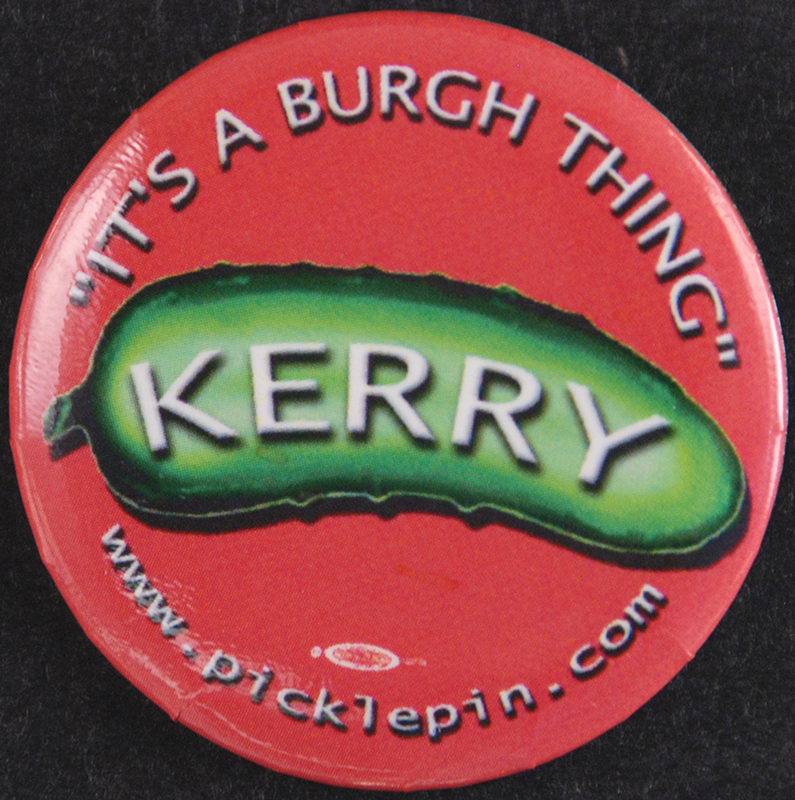 Kerry political pin featuring the Heinz pickle with the words, “It’s a ‘Burgh Thing.” Kerry married the late Senator John Heinz’s widow Teresa Heinz. 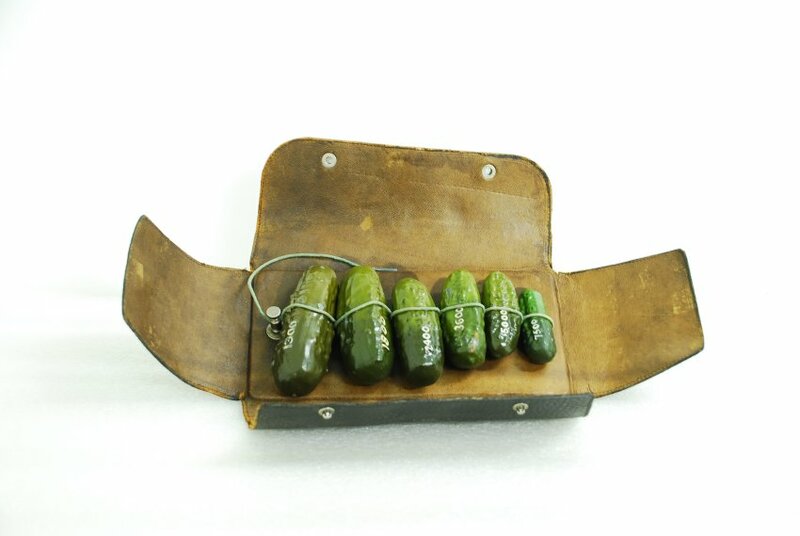 Salesman’s pickle sizing sample case, c. 1900. Uniformity was important to H.J. Heinz, whether it was his impeccably dressed salesmen, called travelers, or the pickles they sold to the local grocer. Salesmen used items like this pickle sizer to help the grocer generate the most profits from the Heinz products he purchased. 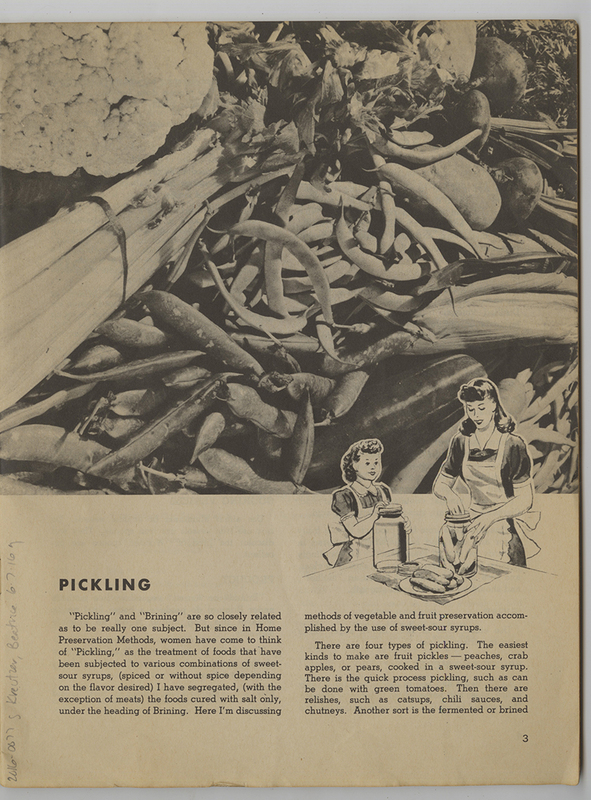 The sizer illustrated the variety of Heinz pickles that could be purchased by the grocer. 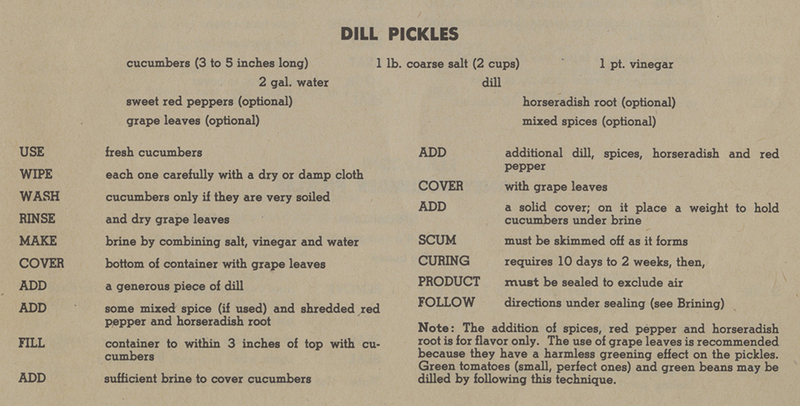 Because Heinz regulated the size of the pickles in barrels and jars, the salesmen could tell grocers exactly how many pickles were in each and accurately calculate the profits. Heinz’s competitors packed in bulk, so the grocers never knew what they had to sell until opening the container. Heinz Pickle Sizer: Salesman’s pickle sizing sample case, c. 1900. Heinz History Center museum collection. 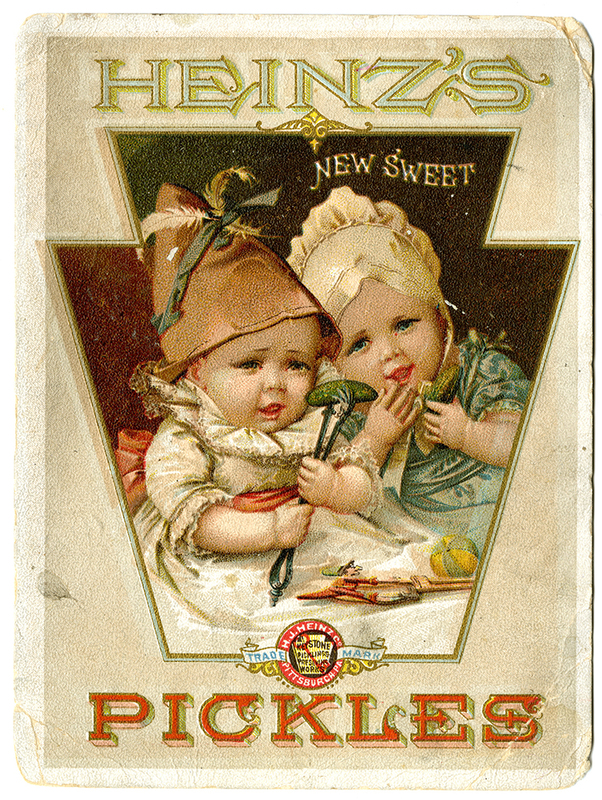 Like other manufacturers and merchants in the late 1800s, H. J. Heinz distributed trade cards to promote his products. With innovations in color printing, these small cards could be produced inexpensively. The front side boasted brightly colored illustrations, often of adorable, healthy children to convey the idea that Heinz foods promoted health and well-being. In the late 1800s, collecting trade cards such as these became a craze among young women. Heinz trading cards, c. 1895. Gift of the H. J. Heinz Company. 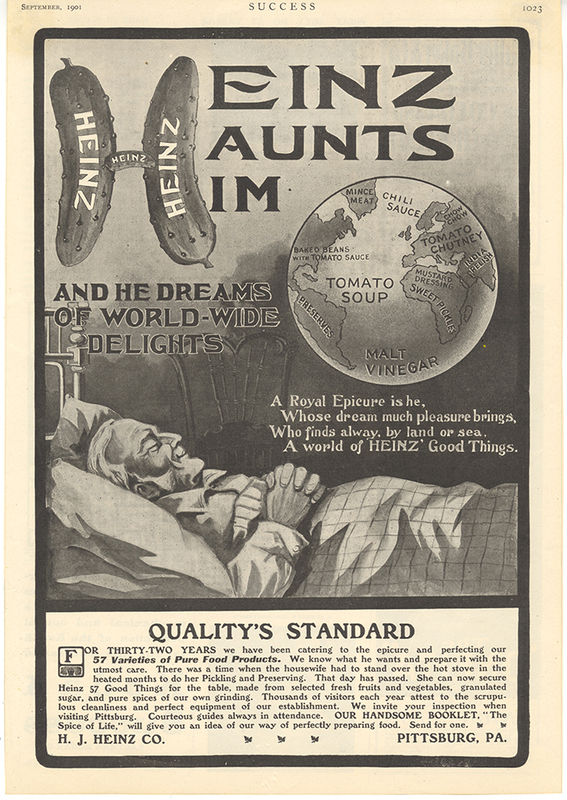 A variety of Heinz product catalogue pages and vintage advertisements, like these, are on display in the Heinz exhibit. Pickle sizes. Image from the H.J. Heinz Company 1910 product catalogue. 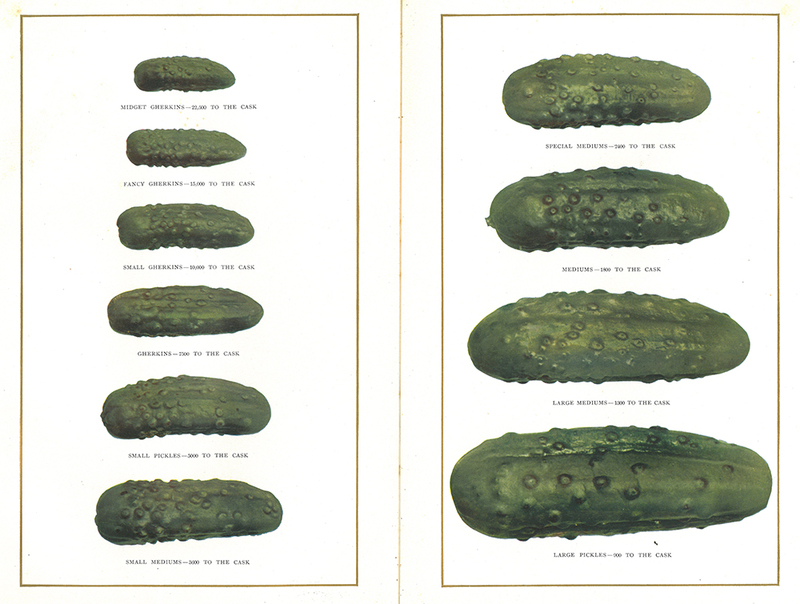 Pickle artifacts compiled by Sarah Reck, Senior Digital Marketing Manager at the Heinz History Center.